Audiences of All Ages Love The Knights! Home / BRIC Blog / Audiences of All Ages Love The Knights! No matter your age, The Knights Family Show allows everyone to sing, dance, and learn about music! 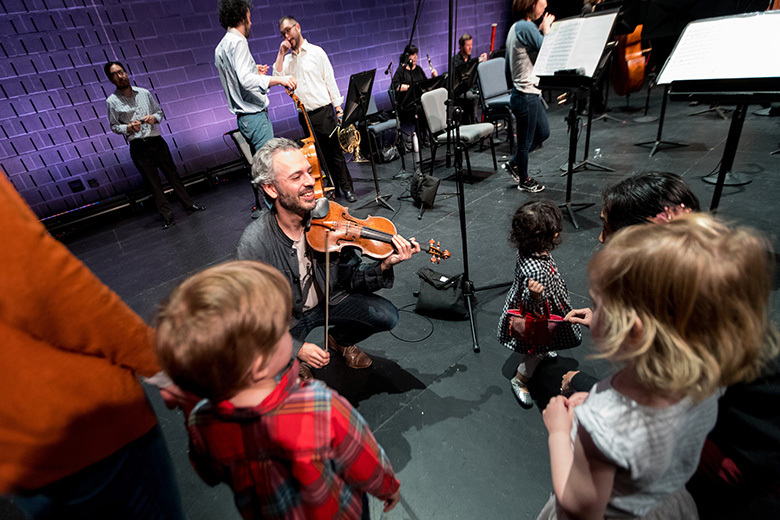 GRAMMY-nominated orchestral collective The Knights, through their residency at BRIC, has become one of the highlights of family-friendly programming at BRIC. With their hour-long family matinee performances, The Knights have transcended how families interact with orchestra music. The Knights’ roster—made up of composers, arrangers, singer-songwriters, and improvisers—use their musical influences and backgrounds to enhance the listener's artistic discovery. 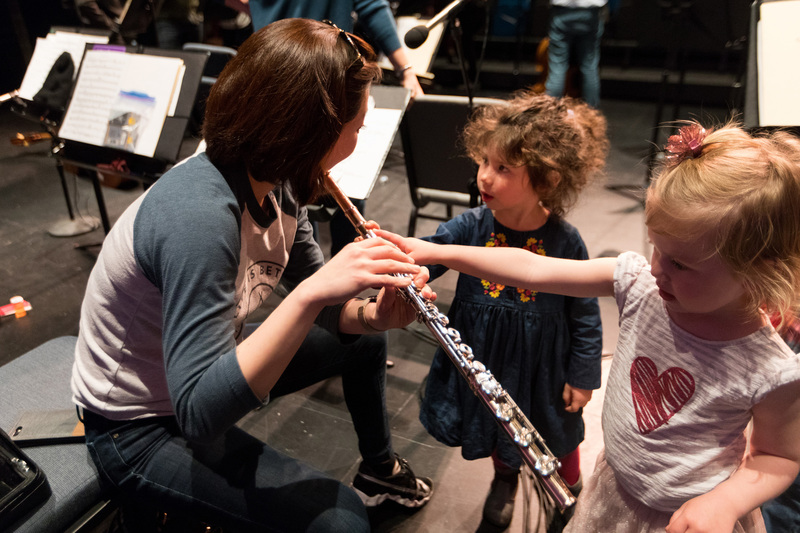 The Knights are committed to eliminating the barriers between audiences and music to create a kid-friendly environment that invites exploration. Families who attend a Knights Family Show are encouraged to get up and move around and interact with the orchestra. The lack of barriers allows children to dance, wiggle, and experience the show in a relaxed environment. When asked why these kinds of shows were so special, the Knights said, “We love playing and introducing young people to orchestral music and instruments! And if they already know the instruments, [we love] sharing the wide world of music, stretching from the Western classics to new compositions and arrangements from multiple cultural perspectives." The Knights enjoy performing a mix of new and classic music and in true Knights fashion, this Saturday's Family Show on March 30 will feature a guest that challenges the group to go in new directions. Syrian born/Brooklyn-based clarinetist Kinan Azmeh joins The Knights as they play some of his original music. Plus, the show will be interspersed with hands-on demonstrations and Q&A. Come and have fun with the whole family! The performance begins at 2PM. Tickets are on sale now! For more information about The Knights Family Show click here. The Knights residency at BRIC is made possible through generous support from the Andrew W. Mellon Foundation and, in part, with public funds from the NYC Department of Cultural Affairs, in partnership with the City Council; the New York State Council on the Arts with the support of Governor Andrew Cuomo and the New York State Legislature; and the National Endowment for the Arts. The cafe will be open before the show for snacks although only drinks with lids are permitted in the Ballroom. The BRIC Ballroom is a wheelchair-accessible, flexible performance space that accommodates a wide variety of configurations and performance styles. Located on the first floor of BRIC House.